NEW YORK CITY: Sentencing Delayed For Killer Of Gay Man As Defense Fights "Predicate Offender" Status - Joe.My.God. 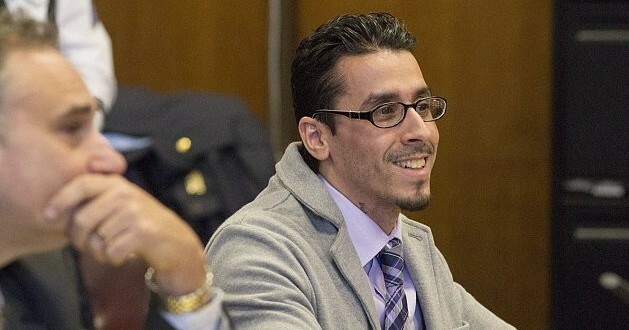 The sentencing of Elliot Morales, who was convicted last month of murder as a hate crime after shooting a gay man in the West Village, was delayed on Monday, as the defense requested additional time to review a series of issues surrounding the case. The delay comes as the defense prepares for the prosecution to treat Mr. Morales as a so-called violent predicate felony offender, based on a previous conviction for an armed robbery. Mr. Morales served 11 years in prison for that offense, in which three women were bound with duct tape, choked and assaulted with a pipe. Murder as a hate crime carries a minimum sentence of 20 years to life, five years more than a second-degree murder conviction. Violent predicate felony offender status would add to his sentence. Mr. Morales, who is serving as his own lawyer in the case, also requested a chance to review a series of trial transcripts after he said he had found a number of misprints.